When we opened our first Hampton Design showroom back in 1999, our vision was simple: to establish ourselves as a complete and local resource for innovative, functional design solutions for kitchens, bathrooms and interiors in the Hamptons. We opened the doors to our newest showroom located on 7 Trademans Path Suites 11 & 12 Bridgehampton, NY 11932 We recently celebrated our 18th anniversary with over 1,000 projects completed since the firm’s inception: locations include Montauk, Amagansett, Springs, East Hampton, Sag Harbor, Noyac, Wainscott, Sagaponack, Bridgehampton, South Hampton, North Shore Long Island, Westchester, Jersey Shore and New York City. While the marketplace for innovation in design and technology changes every day, our original vision remains the same. Hampton Design was founded in 1999 by Peg Fruin, a native of the East End of Long Island who found interior design after an extensive career in the Fashion industry. Laura Sanatore joined the firm in 2006, and together the dynamic duo bring expertise, dedication and creativity to every project. We streamline each phase of the process from initial drawing to completed installation. We choose only the highest quality materials and work with many of the finest architects, designers and contractors in the Hamptons with whom we have long-standing relationships. We work with you to make your vision a reality, applying our knowledge of the construction process and our experience with functional design. We invite you to give us a call or stop by the showroom so we can share our ideas and collaborate with you on your next kitchen, bathroom or interior design project. Design right. Live beautifully. Visit Our Showroom in Holbrook! Since 1988, we've been considered the Hamptons most prestigious interior design firm. We offer interior design, space planning and custom cabinetry. We're also renowned for locating and designing with original home furnishings from around the world. And at our retail store at the same location, we offer a breathtaking array of home decor furnishings, lighting and accessories. In today's frenetic world, you deserve an environment that lets you go within, be your true self and share your love of life with friends and family. At InteriorsOTH, we blend the ancient philosophies of balance and harmony with the classic principles of interior design and architectural space planning. Incorporated into our designs is a deep respect for the earth. We're passionate about using natural materials, and we maintain a strong social consciousness by incorporating nature's elements. We would love accompany you on your design journey to help you design more than a room, but to celebrate your home! Design & decoration for residential and commercial interiors. Heritage Kitchen Design Center, LTD.
Heritage Kitchen Design Center offers a complete menu of installation and construction services. Some of our customers prefer a turn-key design build approach. Other customers have their own preferred contractors to do their installations. Heritage Kitchen Design Center puts you in control in what services we provide, be it full menu or ala carte, you decide and control how much installation is provided and whom you wish to provide it. We have successfully integrated our services with architects, interior designers and building contractors. We are team players with your satisfaction our ultimate goal! President and General Manager of Heritage Kitchen Design Center, Fred has over 35 years in the residential shelter industry. A former President of the Rhode Island Builders Association, Fred has constructed over 500 homes throughout Rhode Island under the corporate name of Heritage Homes, Incorporated. Fred knows and understands value engineering. "It is my goal is to insure our company listens to the customer and delivers a finished product that meets or exceeds expectation." 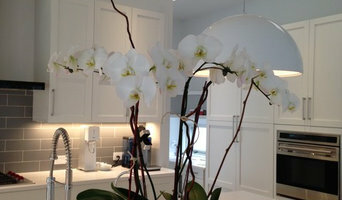 As a kitchen and bath designer, I work with various clients with various needs to create dream spaces. I work with all type of budgets, style and homes. We can measure your space or you can provide us measurements for your design. Cabinets Plus designs fine cabinetry for kitchens, baths, media centers and other rooms in your house. Serving Eastern Long Island, we work with homeowners, as well as many of the areas respected architects and custom home builders who appreciate and expect excellent quality, value and service. Working closely with our clients, we help determine individual preferences, unique requirements, and individual lifestyles. These are crucial elements in the evolution of each distinct, custom kitchen or room. We integrate these essential functional components into the overall design of the room, so it not only makes a personal expression of style, but the room also works to meet your needs. 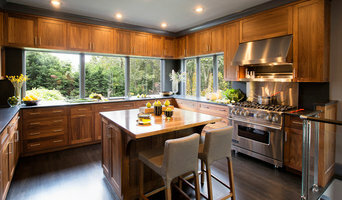 Whether your "wish list" includes a large pantry with abundant, but hidden storage, a special wine refrigeration system, a commercial size range, or an island that can accommodate seating, we can make your dream kitchen come true. What does a Wainscott kitchen designer or bathroom designer do? 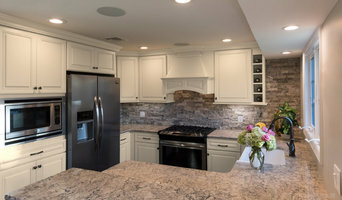 A kitchen and bath design professional in Wainscott, NY knows to take all of these crucial points into consideration and can help plan the layout, materials and overall look and feel of either of these rooms in your home. Kitchen designers, as well as bathroom designers, are constantly staying on top of trends in the ever-changing industry. The designer also knows the best layout for your room, and can configure the layout for optimal functionality and utilization of the space. In the kitchen the refrigerator, stove and sink should be laid out in relation to one another, and it should be seamless and easy to move from one to the other. A Wainscott kitchen and bath designer will know how to work with a contractor and architect to plan the flow of the room to work best for your needs. Here are some related professionals and vendors to complement the work of kitchen & bath designers: Kitchen & Bath Fixtures, Appliances, Tile, Stone & Countertops, Cabinets & Cabinetry, Woodworkers & Carpenters. Before you talk to bath and kitchen designers in Wainscott, NY, consider how you will use the room. For your bathroom, is it necessary to have a bathtub for bathing kids or pets, or would a shower suffice? Perhaps all you need is a half bath for downstairs or a smaller guest bath for occasional use. Similarly, for kitchen renovations consider your cooking habits. Do you eat out every night but need a space to entertain in? If so, a smaller kitchen might be fine for you, with a space devoted to wine storage or a bar, whereas others might prefer a bigger stove or extra cabinets. When interviewing Wainscott kitchen and bath designers, make sure to share these habits so they can best fit the room to suit your needs. 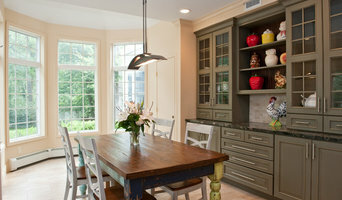 Find a Wainscott kitchen designer or bathroom designer on Houzz. Narrow your search in the Professionals section of the website to Wainscott, NY kitchen and bath designers. You can also look through photos in Wainscott, NY to find a kitchen or bathroom you like, then contact the professional who designed it.